1. It is widely used for threshing of corn /maize . Under the friction with the grilled cylinder, the corn is threshed. If you prefer another one, feel free to tell us to see if we can meet you. 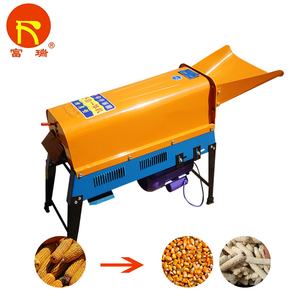 Mini corn maize sheller peeling threshing shelling machine Technical Parameters model SL-AB2 power 2.2kw capacity 1-1.5t/h weight 110kg size 1050*500*1300mm Detailed image Main Features 1.It is a thresher with high efficiency and can get 1-1.5t/h maize kernels 2.power equipment can be equipped with 2.2KW motor, 170F gasoline engine, or 8 horsepower diesel engine according to customer&rsquo;s requirement 3.Thanks to the four wheels,it is easy to install and move 4.The rate of threshing can reach 95% , which means almost all kernels can keep unbreakable 5.Corn with 20% moisture can be used for operation 6. P eeling and threshing corn maize is its two functions, which saves labor and money than compared with single function machine peel maize and thresh it Packing After-sale service we promise that our company can send technical datas for you to guid to install the machine, providing 24 hour telephone or message service if you need help. 6 the outlet block prevents seeds and cores from splashing, thewhole machine is safe and reliable. The annual production and sales of various small agricultural machinery are more than 200 thousand units. Our company has set up sales cooperation relationship with nationwide thousands of distribution outlets. The corn kernels is separated by the sieve hole. 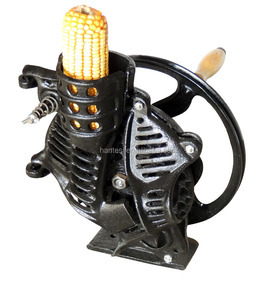 The corncob is discharged from the machine tail of the machine. Contact us Please contact Jack if you are interested. 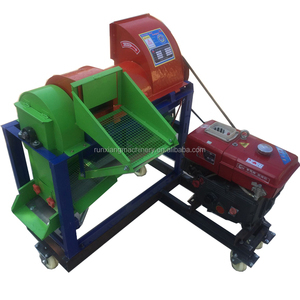 Corn Threshing Machine and Maize sheller Description This manual thresher is mainly used for paddy rice and wheat, the machine boasts reasonable design, excellent manufacture, easy operation and low energy. We can supply agricultural machines from cultivating machine to rice milling machines. Welcome to contact us freely! Weifang Shishang Machinery Co., Ltd.
One can finish the job alone. The machine is with low vibration. It is light and easy to move. Dezhou Panda Machinery Co., Ltd.
With high efficiency, low damage rate, simple structure and low cost, the new type corn husking and threshing machine is very suitable for home use. We are ahead of the professions with excellent quality and reasonable price and also have the export license to all the products. We always adhere to the idea of &ldquo; to meet the market with the best products, to meet the customers with the best services &rdquo; . It can work in processing line or work independently . 2.1 years warranty and long life after-sale service. Warranty9 1 Year and long life after-sale service. 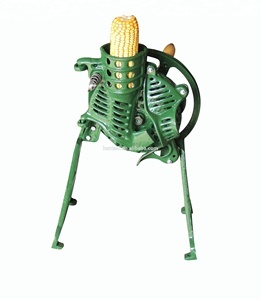 Alibaba.com offers 12,296 corn threshing machine products. About 77% of these are shellers, 5% are rice mill, and 3% are other farm machines. A wide variety of corn threshing machine options are available to you, such as free samples, paid samples. There are 12,214 corn threshing machine suppliers, mainly located in Asia. The top supplying countries are China (Mainland), India, and Turkey, which supply 99%, 1%, and 1% of corn threshing machine respectively. Corn threshing machine products are most popular in Africa, Southeast Asia, and Domestic Market. You can ensure product safety by selecting from certified suppliers, including 2,785 with ISO9001, 1,900 with Other, and 564 with ISO14001 certification.